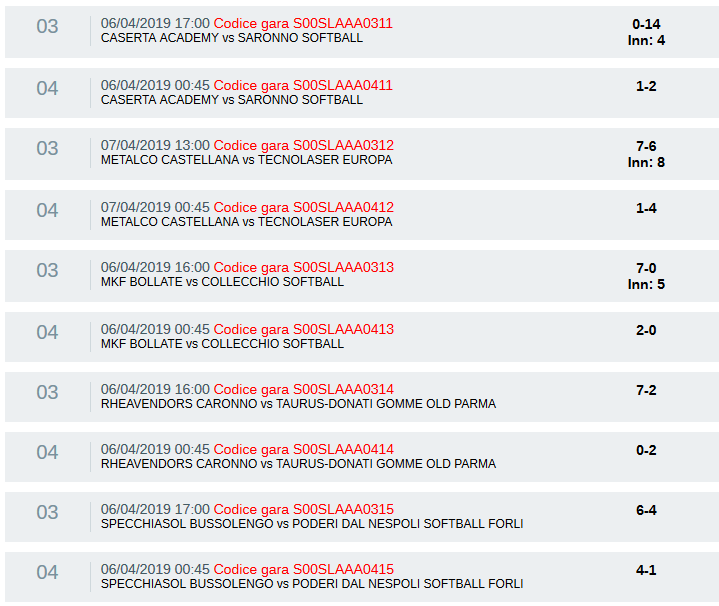 In the Italian Serie A1 Softball Saronno Softball and MKF Bollate improved to 4-0 with sweeps over Caserta respective Collecchio. Specchiasol Bussolengo also celebrated a two-win weekend with victories over Poderi Dal Nespoli Forli. The matchups between Rheavendors Caronno and Taurus Donati Gomme Old Parma, as well as Metalco Castellana and Tecnolaser Europa ended with splits.